Kathy Dupuy started dancing seriously in high school and has continued to take classes and had the opportunity to perform through various studios in Austin. Through the years, dance has proven a great way for her to stay fit after having 4 kids and maintaining a busy lifestyle. 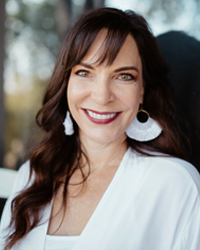 She has successfully pioneered multiple businesses from start-up to maturity including Texas’ largest nanny/sitter service, Mom’s Best Friend, and an assisted living home for seniors. Kathy serves on various boards, and her companies have been recognized for outstanding achievement in various venues, as well as a commitment to giving back to the local community. As a dancer herself and mom to 4 little dancers, Kathy understands the need for a high-quality studio environment catering to the needs of both adults and children, so she started Balance Dance Studios in 2012. In 2017, she had the privilege of purchasing The Dance Spot from Quinton Weathers. Kathy’s business expertise and entrepreneurial spirit, combined with her passion for the art of dance, create the perfect combination for her role as studio owner. Kathy and her husband Stuart, who is also very involved in the business operations, reside in Southwest Austin and are the proud parents of Grace, Kaitlyn, James and Jordan. Quinton Weathers started dancing at the age of eight, at Joyce Willett School of Dance in Austin, TX. He studied in jazz, tap, ballet, hip-hop, lyrical, musical theater, gymnastics and also performed with Body Talk Dance Company. He won numerous scholarships from L.A. Dance Force, Urban Jamm, West Coast Dance Explosion and New York City Dance Alliance. At twelve he started training at the Edge in Los Angeles, where he trained with Bill Prudich, Mandy Moore, Adam Parsons, Doug Caldwell, Malaya, Tabitha & Napoleon, Marty Kudelka, and Roger Lee to name a few. Quinton’s fresh choreography and outgoing attitude has made him a sought-after teacher and choreographer. He has taught master classes all over the United States, Canada, Korea and Japan. Quinton has judged and taught for Break the Floor Productions, V.I.P, Flow 40 and Hall of Fame Dance Challenge. For five years he taught lyrical, jazz and hip-hop at Simi Dance Center in Simi Valley, California. His students won numerous scholarships and awards and have gone on to work as professional dancers. He has also had the opportunity to assist award-winning choreographer Mandy Moore in Seoul, Korea at the International Jazz Festival and at the Edge. Quinton lived in Los Angeles for five years and is still represented by Bloc Talent Agency. He has worked with the likes of Jennifer Lopez, Beyonce, Angie Stone, Snoop Dogg, Salt & Pepa, Kylie Minogue, Anastasia, Clay Aiken, Ruben Studdard, Solange Knowles, Yasmeen, Parker Posey and Chris Katan. His T.V. and film credits include Nickelodeon’s “All That” and “Taina,” “2002 Olympics,” “Soul Train”, “Trading Spaces,” “Varsity Blues,” “Honey,” “Adam and Steve” and “Dreamgirls”. 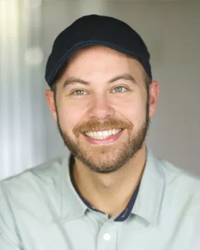 He has done commercials and industrials for “So You Think You Can Dance,” I-pod, Motorola, Smashbox Cosmetics, Nintendo, Diesel and Levi Jeans, Nike, 7-up, and Pepsi. Quinton was also a dancer on the American Idol 2 Tour and traveled around the U.S. and Canada. Ashley Sengsouvanh received her education at Blinn College on a full dance scholarship and danced on the Blinn College Treasure dance team and became Captain her sophomore year. She then transferred to Sam Houston State University where she danced in the Sam Houston Dance Spectrum Company and the Huntsville Dance Company for three years. 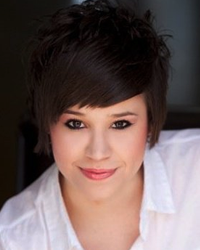 Ashley graduated from Sam Houston State University with a Bachelor of Arts in Dance and Secondary Education. Ashley has been dancing since she was three years old and she danced competitively at Joyce Willett School in the Dance Body Talk dance company. She also was a four-year member of the Pflugerville High School Lady Panther Dance Team. Ashley was an officer for 3 years including captain her sophomore year, major her junior year and Colonel her senior year. Since graduation from Sam Houston State University in May 2004 Mrs. Sengsouvanh moved to Chicago to study at the Joel Hall Dance Center. Moving back to Texas in 2006 she started her career as a dance team director. Most recently Mrs. Sengsouvanh was the Director at Taylor High School for six years where she built a very successful, National holding title and well-known dance program in the area. Mrs. Sengsouvanh travels to teach and choreograph for schools all over Texas. She has been working for Crowd Pleasers as a judge. I have been a dance team director for 13 years and most recently the founding director of the Elgin Purple Diamonds Dance Team. 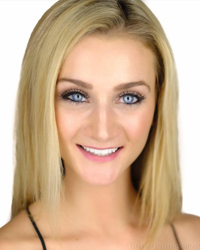 Hannah Woolridge, who recently relocated to Austin, TX, began dancing at the age of 3 in Corpus Christi, TX. She has gone on to earn a B.F.A. 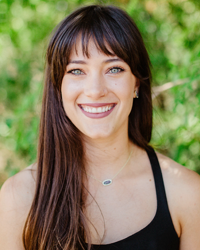 in Dance from Sam Houston State University, is certified in Mat and Reformer Pilates, as well as pursuing her Gryotonic® Certification. Hannah performed with the Corpus Christi Ballet from 2004-2013 starring in various roles such as; Clara, Dew Drop Fairy, Russian dancer, Mirliton, Pirouette Doll, and Harlequin Doll in Nutcracker, Cygnet in Swan Lake, and the Generosity Fairy in Sleeping Beauty. She attended several summer intensives including Ballet Austin studying under Stephen Mills, the School of American Ballet studying under Peter Martins and Kay Mazzo, and the Alonzo King Lines Ballet. While pursuing her degree at Sam Houston, Hannah had the opportunity to work with various international choreographers, including Gerard Theoret and Maurice Causey, as well as perform as a member of Nicolay Danceworks in A Wynne Home Nutcracker. After graduating from Sam Houston State University in 2016, Hannah spent three months in Rome, Italy dancing and performing with VivoBallet under the direction of Enzo Celli. 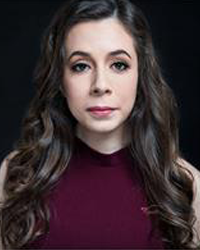 Upon returning back to the states Hannah began dancing as a Resident Guest Artist with Corpus Christi Concert Ballet for the 2017-2018 season as well as teaching at the Ballet Academy of Corpus Christi. Kalee Irwin is an urban American artist based out of Austin, TX. She received her BFA in dance at Sam Houston State University. In her final year, Kalee received the following: Spectrum Costume Design Award, Excellence in Dance Research Award, and Dance Service Award. 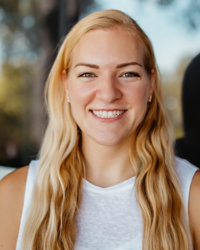 Kalee has advanced training in modern, jazz, ballet, contact improvisation, dance technology, and choreography; as well as training in costume design and sewing. In the summer of 2016 Kalee attended Dance Italia in Lucca, Italy where she received training from Cristina Planas Leitao, Chisato Ohno, Elitia Cannata, Erik Abbott-Maine, Nicole Von Arx, and Christiano Fabbri. Kalee’s favorite aspects of dance are choreography and improvisation. She likes to explore the boundaries of movement and express ideas, philosophies, and meaning through dance. In the fall of 2016, Kalee was selected to perform a spontaneous Improvisation performance, at the Texas Dance Improvisation Festival’s closing concert. In the spring of 2017 Kalee was selected to debut her new work “You and Me, Me and You” in the Mid the Gap festival run by Dance Source Houston. Kalee is now currently teaching at Balance Dance Studios, as well as The Dance Spot where she is the Co-Director of Envision Dance Company. Kalee has four years experience in the field of costume as a designer, assistant to the designer, and stitcher/draper/cutter. She is self-employed as a costume designer, clothing designer, and alterations specialist. In the fall of 2017 Kalee was invited back to Sam Houston State University as an over hire professional stitcher/draper/cutter, as well as assistant designer, for the Dance department’s Spectrum Faculty concert. Kalee currently works at David’s Bridal as one of their alterations specialists. In the fall of 2018 she will begin her new journey as the costume designer and costume manager of both Balance Dance Studio and The Dance Spot in Austin, TX. On the side, Kalee is working toward building her own business in costume design and alterations. 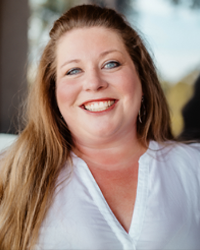 Kristen is a Co-Founder, board member, and resident vocal coach at Iconotheatrix. She is finishing up her BFA degree in Theatre Performance at Texas State University. 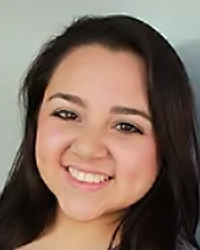 While at TXST, she has studied under Marqui Maresca and Kaitlin Hopkins under their One Voice technique. She was a apart of TXST’s selected acapella group VocaLibre for 3 years where they toured central Texas opening up for Jay Leno, and is featured on their Album Lift Every Voice. Kristen has also been a part of Texas State’s Playwrights Lab where she performed two new play readings and wrote her very own 10 minute and one-act plays. Kristen has collaborated in several capacities with other theatres in Houston and beyond, including teaching Stage Presence classes through Theresa Yow’s Vocal Studio, as well as music direction for Hairspray and vocal coaching for Next to Normal at Applause Theatre Company. Kristen also teaches private lesson in vocal technique. Her favorite performance credits include: Volleygirls (Staged Reading; Marisol) at Texas State University, Vote: The Musical(Nikki Murphy; Cast Recording) and Frank Wildhorn Masterclass (Selected Participant) at TUTS, Les Mis (Fantine), Thoroughly Modern Millie (Muzzy VanHosmere), and Hairspray (Tracy). Andrea Torres was raised in McAllen, Texas. With a Bachelor of Science degree in American Dance Pedagogy and Minor in Business Entrepreneurship from Oklahoma City University, she has choreographed and Performed on many stages in New York City including Radio City Music Hall, Highline Ballroom, Symphony Space, the Paul Taylor Studios, Actor’s Fund Arts Center, IZOD Center, Connelly Theater, and Kaye Playhouse to name a few. Andrea’s performances include tap dancing on The Colbert Report on Comedy Central, Dancing in The Shine On Awards Show at Radio City Music Hall hosted by Meryl Streep, Good Day Austin on FOX, The A.C.E. Awards, PBS Documentary Special, and as a featured tap dancer for the Step Up 3D promotional music video. Andrea has performed with Bessie Award Winner Michelle Dorrance in the debut of Dorrance Dance, on the shared evening with Dormeshia Sumbry-Edwards at Danspace Project. in A Shared Evening works with the Co-creator and assistant producer of Imagine Tap, Aaron Tolson. Andrea was a proud member of Germaine Salsberg’s Tap Dance Company Les Femmes Plus for four years. Andrea is/has been on faculty and staff for The Pulse on Tour, DansEncore International Dance Festival, Soul to Sole Tap Festival, The International Teachers of Dance Inc. Convention, Texas Association Teachers of Dancing, Dance Theatre USA, Peridance Capezio Center, and Broadway Dance Center in New York City. Andrea is also the Artistic Director of ATDC. In New York City she created and produced the show “Outed” 2013 and Since then the company has been invited to many festivals including The COOLNY Festival, The Brooklyn Dance Festival, the Dumbo Dance Festival, and Dance to Breathe at the Austin Music Hall, & Paramount Theater. Currently, the company is in production for a brand new show to premiere in Austin, Texas this season. 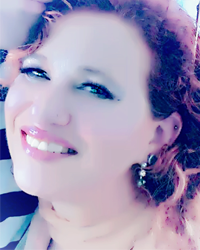 Andrea is Sponsored and promoted by the RAW Artists Organization. Chandra Chinnis currently resides in Georgetown, TX. She caught the dance bug early and knew that it was what she wanted to do. Growing up in California she was trained by Paul and Arlene Kennedy along with others in the art of ballet, tap, jazz, modern. She knew early on that her love for tap was undeniable. She has also received training and worked with many other tap greats such as Diane Walker, Dormeshia Sumbry-Edwards and Derick Grant to name a few. As a competitor, she was a part of the Universal Dance Theater where under the Kennedy’s they won many awards and was known for their great tap style. She was afforded the chance to tour with the hit Broadway show Black and Blue and learned a lot from the experience. She enjoyed the experience but decided that teaching the art of dance was where her heart was. Chandra currently teaches tap at Georgetown and The in Tx. She loves working with children and seeing them grow as dancers as well as people. She has also taught and choreographed for studios in Georgia and California. With 20+ years of dance experience, she has seen taught many dancers. She is proud of each and every student she has had the privilege of teaching and loves that many of them are now teaching the art that she was able to pass to them. Her choreography has won many awards yet her main accomplishment is seeing children love the art of dance. Dane grew up in Oregon, where he started training in dance at the age of 10. He quickly fell in love with movement and the expressiveness of it. He moved to Los Angeles, when he was 18, with a scholarship to EDGE Performing Arts Center. After completing his training, he continued to dance and perform. He worked with Tremaine Dance Convention for 5 years. He also worked for Move Dance Competitions, where he judged and taught master classes all around the U.S. In 2008, Dane moved to Austin. 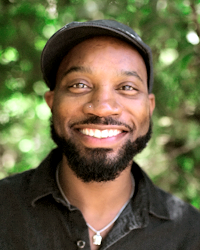 He is now the Co-director of Rise Dance Company and Reverence Dance Project. He works for numerous studios and high schools all around Texas. He loves sharing his knowledge and love for dance with all. Erick Yanez started dancing at the age of sixteen. Self-taught in hip hop, he began taking dance classes at Burnet High School where he learned the principal elements of dance. From the moment he started, he fell in love with dance and entered into his 1st two dance competitions: he placed top ten overall in both of them and received performance/showmanship awards along with a scholarship to New York Dance Experience. This provided multiple opportunities as an instructor and a performer. Erick has also performed as a dancer in numerous music videos, shows, and traveled to work with multiple artists like Sean Paul, K Camp, Tory Lanez & D Woods. He has also trained and taken classes from many world known choreographers like Matt Steffanina, WilldaBeast Adams, Parris Goebel and Nick DeMoura just to name few. 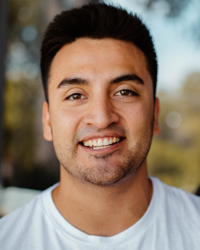 After teaching choreography at multiple schools, camps, workshops and intensives, Erick is now a faculty member with Dupree Dance Convention and Power Dance Convention. Erick is also founder of Diversified Unity! He continues to spread his love for dance with others. Isabelle began her ballet training at The Pennsylvania Academy of Ballet under Margarita de Saa White (Ballet Nacional de Cuba) and Tatiana Kudrjavcev (San Francisco Ballet). She attended her first summer intensive at The South Carolina Summer Dance Conservatory at age 13, which was her first exposure to professionals from New York City Ballet. The following summer she attended The Kirov Academy of Ballet in Washington, DC for the first time, in addition to Kaatsbaan International Dance Center in Tivoli, NY. She continued for the following three summers to attend both programs and was awarded a full-time scholarship to the year-round program at both the Kirov and the JKO School of American Ballet Theater in New York City. At age 16 she accepted a scholarship to the Walnut Hill School in Boston, MA where she attended and performed leading roles in the schools’ performances. Following her time at Walnut Hill she attended her last summer at Kaatsbaan, as well as the Rock School, where she was offered a full scholarship to the year-round program. Her senior year of high school she began dancing with the Brandywine Ballet Company in West Chester, PA, where she continued throughout her college career at The University of Pennsylvania. During that time she also trained with Barbara Sandonato of the Pennsylvania Ballet, guesting and having the opportunity to perform with the company, as well as with the Wilmington Ballet in Wilmington, DE. After graduation, she moved to Manhattan where she worked for a fashion brand doing business development, a job in line with her college major, but her true love has always been, and will always be dance. While teaching in Manhattan she specialized in adult fitness and ballet, as well as coaching children and young adults preparing for Youth American Grand Prix Ballet Competition and other professional auditions. After teaching and working as a freelance artist in NYC for a year she moved to Austin which she now calls home. She currently teaches at The Dance Spot and is a Resident Artist with Metamorphosis Dance Ensemble and performs with The Dance Project. Her favorite things in the world are performances and developing dancers from beginners to professionals. Jackie was born and raised in Kingwood, TX where she began her dance training at Rowland/Ballards school of ballet. From 2008 to her high school graduation in 2012, Jackie trained with the Kingwood Dance Theatre — a pre-professional ballet company — and attended annual Regional Dance America Festivals. Through her performance, choreographic, and teaching opportunities with Kingwood Dance Theatre, Jackie’s love for dance truly blossomed. She continued her education at Skidmore College in Saratoga Springs, New York where she graduated with Honors in Dance and Business Management in May 2016. During the school year at Skidmore, Jacqueline was able to fine-tune and enrich her choreography skills with many creative opportunities from collaborating with professors/peers and creating choreographic projects of her own. She has danced for and trained with choreographers such as Xan Burley and Alex Springer, Earl Mosely, Matt Pardo, Ruben Graciani, Christy Williams, and Erika Pujic. During her summers in Saratoga Springs, Jackie performed for Saratoga Summer Arts Festival and had opportunities to train with dance companies doing residencies in Saratoga Springs such as Martha Graham Dance Company, Lar Lubovitch Dance Company, and Doug Varone and Dancers. As a recent college graduate, she has danced in festivals from New York City to Los Angeles, and continues to produce choreographic works for a variety of performances and site-specific venues. In 2017 Jackie was awarded the San Antonio Dance Umbrella’s “Emerging Artist” Scholarship. 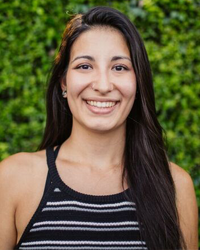 She teaches at a variety different dance studios in the San Antonio and Austin areas, and produces original choreographic works for performances at pre-professional level dance companies in the San Antonio, Austin, and Houston areas. A native of Los Angeles, Pallas Sluyter has had an extensive and varied career touring the world as a professional classical ballet and all around dancer, choreographer, teacher, and coach. She has lived and worked for a number of years in Europe as a freelance dancer, teacher, choreographer, and director of her own school and performing arts Company, Pallas-Dance. Pallas began training in classical ballet at the age of four. At eleven she was awarded the prestigious Ford Foundation scholarship from the New York City Ballet, for four consecutive years, for her studies at The Westside School of Ballet in Los Angeles, under the artistic direction of Yvonne Mounsey and Rosemary Valaire. As the recipient of numerous scholarships she trained at the School of American Ballet (New York City Ballet), The American Ballet Theatre School, The San Francisco Ballet School, Ballet West Summer Program, and Dupré Dance Academy. At the age of fifteen, Pallas won first place in California at The National Society of Arts and Letters Ballet Competition, and placed at the Nationals. Throughout her professional career, she has trained with an array of esteemed teachers in various styles, including Maggie Black in New York. Pallas would recognize the influential style of Miss Black’s teaching in professional scenarios the world over. Pallas received the majority of her jazz dance training from iconic choreographer, Bill Goodson, with whom she has performed extensively. Pallas’s performance credits include Dennis Wayne and Dancers, Batsheva Dance Company, Nevada Dance Theater, New Breed Dance Theater (as leading dancer and Ballet Mistress), Israel Ballet, Jerusalem Tamar Modern Dance Company, Los Angeles Chamber Ballet, Los Angeles Classical Ballet, Radio City Music Hall Ballet, Dutch National Opera Ballet, Pandora, De Dutch Don’t Dance Division, The Alchemy Ensemble (as dancer/actress/rehearsal coach), Flow Performing Arts and Pallas Dance, to name a few. In Hollywood she performed extensively in television shows, movies, and MTV videos, most notably performing in the very first MTV dance videos, choreographed and produced by the legendary Toni Basil. She has also worked with choreographers Kenny Ortega, Paula Abdul, Bill Goodson, Ann Marie DeAngelo, and Laurence Blake, to name a few. She has performed in musical theater and sailed around the world on the high seas, performing in Broadway musical adaptions, as a dancer/singer/ Ballet Mistress on the Holland-America Line. As a freelance choreographer and producer she has created neoclassical and contemporary ballets, as well as experimental fusion concerts for stage and film for, ie: De Dutch Don’t Dance Division, Pacific Ballet Dance Theatre, Flow Performing Arts, 4 Steps Forward (Korzo Theatre, The Hague), Poetry International Festival (Stadsschouwberg, Rotterdam), The L.A. Dance Kaleidoscope Festival (CSULA), Jerusalem Dance Theatre, Bethune Theatredans, Pallas-Dance, MTV Korea, and is currently working as artistic consultant, co-director/ producer and choreographer for music videos in development. Pallas also produces and hosts the internationally broadcast radio show, podcast, and Youtube channel, ‘Pallas On Air’ (formerly ‘Pallas’ Dutch Invasion’), in which she interviews rock stars, jazz legends, and up and coming artists. She has worked as the Arts and Entertainment correspondent for DutchbuzZ Radio on Den Haag FM, in The Hague, The Netherlands, and on the world wide web. She has also produced one hour specials and been a guest cohost on the internationally broadcast radio show “Buddhaman’s International Experience” on MonsterRock.net . For two consecutive years Pallas was invited to film “Pallas On Air” on Cruise to the Edge. Recently, Pallas was invited to cohost the progressive rock radio show ‘Virtual Noise’ on Austin radio station KOOP 91.7; koop.org on the world wide web. In 2017 Pallas relocated to the Austin area. She has taught ballet at the Cedar Park Dance Company, has worked as guest choreographer and guest master teacher for One Academy of Dance, is a ballet teacher, rehearsal director, and contributing choreographer at The Dance Academy & Ballet Academy North 1st and 2nd Companies, teaches ballet at The Dance Spot, and has recently become a nationally certified yoga instructor. A native Texan, Tracy has successfully coached and guided the careers of young performers for over 25 years. Because of her strong training and diverse performance abilities, she undertook many artistic endeavors and opportunities, including choreography gigs and acting roles in local and regional playhouses including Houston’s renowned Theatre Under the Stars. During the evolution of her career, she began to specialize in training and promoting young actors. Through her highly successful SHOKIDZ acting classes in Houston and Los Angeles, a “career-changing” professional level seminar series, and her artist management company, numerous young actors found their niche and began rewarding careers. She helped launch the professional careers of Hilary & Haylie Duff, Renee’ Olstead, the late Skye McCole Bartusiak, Sarah Hagan, Mariah Parks, and Jinhee Joung. 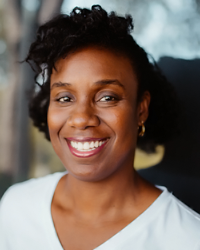 Tracy saw a need within the competitive and pre-professional dance community for better performance understanding; so, she developed an innovative approach to teaching dancers how to honestly, organically and fully create and interpret the “story” of the choreography given them. 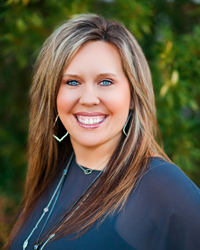 Tracy’s goal is to help her clients recognize their full potential so they may realize all life’s gifts! Born and raised in a small town just north of Pennsylvania’s capital city Harrisburg, Jordan is a newer transplant to Austin having arrived in November 2018. After attending Temple University in Philadelphia and spending time in northeast Brazil teaching English as a Second Language, he moved back across the state to Pittsburgh in 2013 where he gained most of his professional dance experience. He’s a classically trained vocalist and alto saxophone player and his love for music inspired him to begin pairing that with movement. 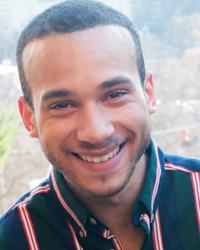 Jordan trained and worked at Millennium Dance Complex Pittsburgh for several years which provided the opportunity to work with talent from across the country including Yanis Marshall, Misha Gabriel and Phil Wright. He is also part of the D.A.N.A. Movement Ensemble back in Pittsburgh which stands for “Dancers Against Normal Actions” and is directed by local legend Nick M. Daniels. Jordan has performed as part of the Three Rivers Arts Festival which occurs every summer in Pittsburgh and has had his choreography featured at various venues and events throughout Pennsylvania. He continues to teach ESL here in Texas and is fluent in Portuguese himself. Jordan is excited to begin performing and teaching here in Austin and looks forward to any new opportunities which the future has in store here!